Now in paperback! 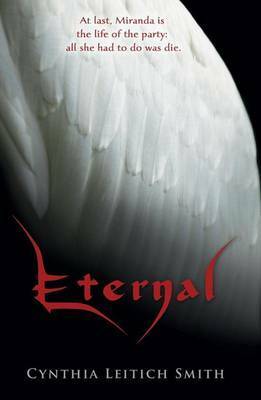 With diabolical wit, the author of TANTALIZE revisits a deliciously dark world where vampires vie with angels -- and girls just want to have fangs. (Age 14 and up) At last, Miranda is the life of the party: all she had to do was die. Elevated by none other than the King of the Mantle of Dracul, she goes from high-school theater wannabe to glamorous fiend overnight. Meanwhile, her guardian angel, Zachary, demoted to human guise as her personal assistant, has his hands full saving his girl's soul while planning a fast-approaching Death Day gala. In alternating viewpoints, Miranda and Zachary navigate a cut-throat aristocracy as they play out a dangerous, diabolically witty love story for the ages. Cynthia Leitich Smith is the acclaimed author of TANTALIZE and several other books for young readers. A member of the faculty at the Vermont College MFA program in writing for children and young adults, she lives in Austin, Texas, with her husband, author Greg Leitich Smith.